据早期教会历史学家优西比乌（Eusebius）记载, 俄利根依据马太福音19章12节而阉割了自己. 许多著名历史学家,比如Peter Brown和William Placher也认为Eusebius的记载难以驳倒. Bostock, Gerald. 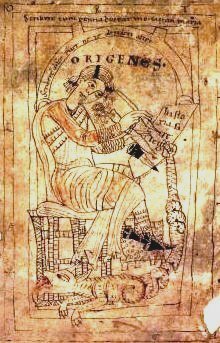 Origen: the Alternative to Augustine?. The Expository Times. 2003, 114 (10): 327. doi:10.1177/001452460311401001. Heine, Ronald E. Origen: Scholarship in the Service of the Church. Oxford: OUP. 2010: 275. ISBN 978-0-19-920908-8. Trigg, Joseph Wilson. 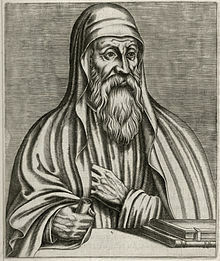 Origen: the Bible and Philosophy in the Third-Century Church. London: SCM Press. 1985. ISBN 0-334-02234-7. Trigg, Joseph Wilson. Origen. New York: Routledge. 1998. ISBN 0-415-11836-0. Crouzel, Henri. Origen. San Francisco: Harper & Row. 1989. ISBN 0-06-061632-6. Westcott, B. F. "Origenes", Dictionary of Christian Biography（英语：Dictionary of Christian Biography）.